GROUND LEVEL OCEAN FRONT CONDO...JUST FOR YOU! 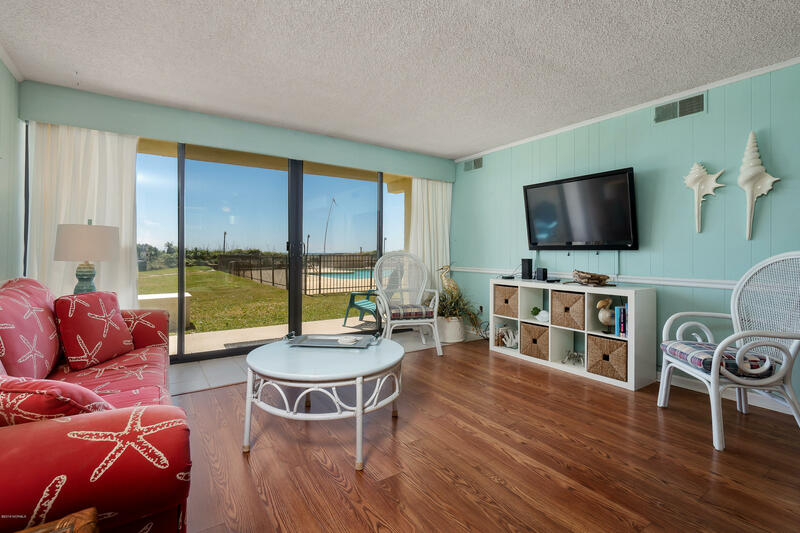 Enjoy spending time overlooking the dunes and the waves in beautiful Atlantic Beach. Walk straight out patio doors from living room or master bedroom for direct access to the pool and beach. No stairs! This unit offers open concept living space for you and the family. Great rental history with Airbnb. FULLY FURNISHED, with exception of a few personal items. Includes onsite storage unit and free use of Club House. Recent upgrades include: refrigerator, water heater, dishwasher, washing machine, master bathroom renovation, HVAC (4yrs old), and more! HOA currently replacing roof. Hurry before you miss the opportunity.